With today’s changing trends and competitive market, a business cannot ignore one of its most important values, which is “Customer Service”. Excellent customer service is the lifeline of any business, as it creates loyal customers for your business. You may be wondering how to understand the expectations of your customers. The best way is to think beyond selling your services or products. Consider the experience that your customers have when they visit your website or store, what their reviews are, how they feel, what they think and what you can do to make their experience better. Here are the best tried and tested ways on learning more about your customers, beginning with creating an excellent customer service experience for your new business. To provide excellent customer service, it is important to understand what you are selling, inside out. Train your staff members properly about the services you provide, so that they feel empowered to make on-the-spot decisions when dealing with customers. Both you and your staff members should be aware of the common questions that customers may ask. It’s important to understand those questions and articulate the answers that will leave them satisfied. Ensure that your staff completely understands the customer service principles that apply to your business. Keep in mind that if you want to enjoy long-term success, you must foster long-term relationships; focusing only on short-term relationships to make short-term sales leads your business to failure. If you are not taking responsibility for your mistakes, you surely are not on the right track on making good customers. You may end up making a bad reputation in the market. Transparency is an essential part of a business, and customer service is no different. Remember always aim for high-quality output as it shows that you provide a high level of products and services. Hence one precious lesson on customer service is, when you do make a mistake, don’t try to cover it or deny it. Admit your mistake, apologize, and do whatever it takes to fix the situation right. Your customers will definitely appreciate it, and no-one loses customers this way. In fact, there are chances of earning loyal customers this way. It’s necessary to listen to what your clients are communicating to you. Customers are just normal people, and they want to be heard. Sometimes all that’s expected from you is that you listen to what your customers have to say. Learn what they are saying and ask for clarifications on things that might be unclear. Don’t just unnecessarily jump in and start protecting yourself, your company, or your product. Listen carefully, as they might have a valid point! Although they might not be too familiar with certain terminologies or what you think they mean might be contrary to what they actually mean, however they may provide valuable feedback to you. So, the best option is to listen to them carefully and then analyze things. 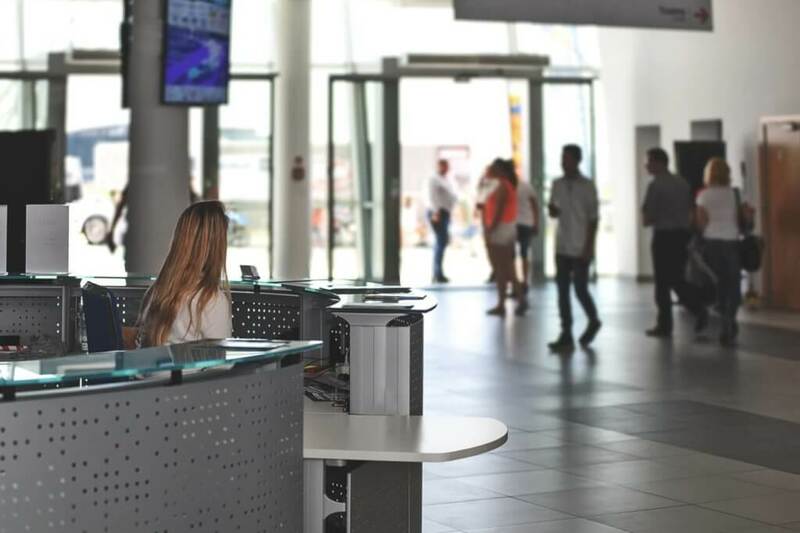 Customer service often involves emotions, so it’s necessary to make sure you and your staff members are always courteous and respectful while handling customer service tasks. Never let your own emotions overtake your excitement to see your customer walk away happy. If you are dealing with an angry, rude, complaining or demanding customer, never lower yourself to their level of behavior. Instead, continue treating them with respect, and in turn, they will respect you. They might just be having a bad day and may regret their bad behavior after some time. Obviously, it’s not ‘right’ that people disrespect you, but at the end of the day, you’ll be pleased that you didn’t lower your standards and that you chose to be respectful. Problem-solve so the customer leaves happy. Receiving the same complaint repeatedly is the start of a new phase. This shouldn’t command what to do next, but it will start to reveal what needs your attention. You care about getting it accurate. You’re prepared to keep going until you get it right. The customer is the one who decides what “right” is. These are the small opportunities that you should always look for. Make sure that you and your team always get to a place where, “Yes, I’m all set!” sounds loud and clear. Feedbacks are a vital part of your customer service. Different customers have a different perspective on your products and services. With their feedback, you will learn about what they think about your brand and what are their expectations. With customer surveys, questionnaires and feedback forms, you can directly understand what your customers think of your products and services. Do what you say you will do. If you give a guarantee, then you must honor it. If you tell your customers that you’ll respond to emails, respond to them. It’s irritating to anyone to be promised something and then not get it: it’s a surefire way to destroy a relationship. Hence, it is always recommended to stick to your commitments and fulfill them with all the honesty. You are required to cultivate long-term relationships to enjoy long-term success. Sacrificing long-term relationships to make short-term sales leads your business to failure. Hence, make it a point to completely satisfy your customer and convert your short-term customer into a long term customer. Excellent customer service builds a trust of your brand with the customers. It comes when you constantly check in with your customers whether they are satisfied with your products or not and if they are happy with the process of purchasing and ordering the products from you. If you are able to satisfy your customers, you are on your way to be known for providing excellent customer service.